Our team is so excited to meet you! Below our schedule so you know what to expect for the day. Students will begin registration for their first semester of classes. 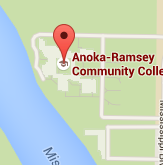 Academic advisors will check in with students individually to provide them with course recommendations, help them check their Anoka-Ramsey accounts, and show them how they can connect with their assigned advisor through their student email. 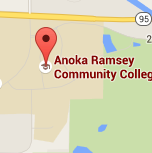 We hope that once you leave orientation, you know how to contact your assigned advisor, have a schedule of courses for your next semester, and feel comfortable with your next steps at Anoka-Ramsey.